New technologies and updated networks are helping colleges bridge the rural education divide. 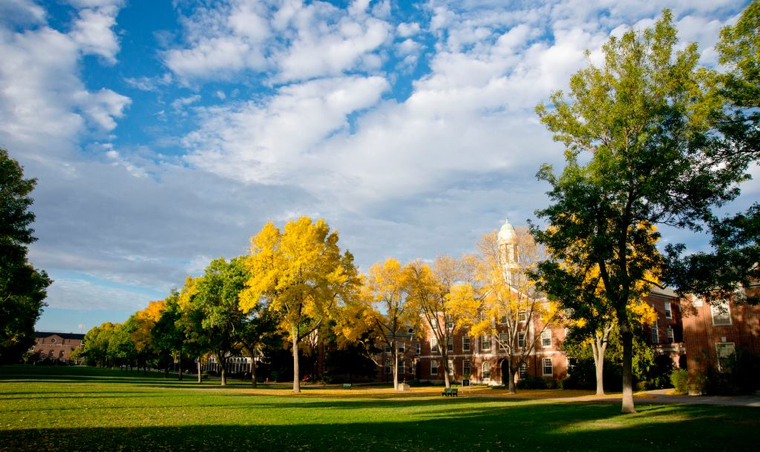 Dr. Lucille Zeph, associate provost and dean of the Division of Lifelong Learning at the University of Maine in Orono, says that providing students with many options through a variety of technologies is key to successfully serving rural student populations. The University of Maine, which serves a total of 34,700 students, has been offering distance education since the late 1980s. It currently offers a diverse menu that includes web-enhanced online courses; video conferencing and web conferencing through several distance-education platforms; traditional lectures broadcasted to regional outreach centers with the use of interactive TV; hybrid classes; and distance-cohort classes, for which the professor alternates origination sites each week in order to provide all local students with the chance to attend some lectures in person, in addition to working online or through video conferencing. “There are really a number of permutations that we offer to give the rural student an opportunity to find the right match for them,” Zeph says, noting that through instructional-design support and faculty-development opportunities, faculty also are becoming comfortable with distance education and are combining methods to make coursework more dynamic, engaging and supportive. According to John White, deputy assistant secretary for rural outreach for the U.S. Department of Education, many higher education officials recognize that students living in rural areas remain the least likely to enroll in or complete postsecondary education and training. “By connecting all of the schools and libraries to ultrafast Internet, we can ensure rural areas have access to tools for rapidly improving education and training for career pathways in their communities,” White says. Advances in technology ensure that, beyond broadband, students in rural areas and those who simply can’t make it to class some days have access to important materials and to their professors. Western Nevada College, in Carson City, Nev., invested in lecture capture to ensure that the school’s large rural student population is able to enjoy the opportunity to sit through traditional lectures, just as on-campus students do, says distance-education coordinator Clarence Maise. The new solution is expected to have a positive impact on all of WNC’s students. Students in the web-based online program now have the opportunity to view live lectures and to communicate and consult with students who spend time in the traditional classroom. Students who live near campus but also have work or family obligations can enroll in classes without having to rely on another student’s notes or worry about being penalized for missing the occasional lecture — or several lectures. Traditional, face-to-face students who enroll in “high flex” classes — as the lecture-capture courses are known — will have access to a web-enhanced curriculum, providing the ability to not only watch archived lectures but also submit homework electronically, enjoy improved access to the instructor and communicate with other online students. During off hours, professors of traditional, face-to-face courses can record presentations on more complex topics in subjects such as nursing, chemistry or advanced math and then post to an online archive for students to view as needed. A traditional class that attracts only a few enrolled students at one campus no longer must be automatically cancelled but instead can be filled by opening it up to students at other campuses as well as to students online.